Has it ever happened that you found yourself in the middle of a situation that went out of control? If this is the case, you need a mental strategy. You have to find a way to mentally remove yourself from the situation. Our emotions are part of our everyday life and it is all about our ability to regulate these emotions. When you react without thinking, do you assign your power to someone else? When emotions are high, intelligence is low – can you keep your mouth under control? How we feel is a conscious choice, not a fact. Shift focus. How would you like to feel? 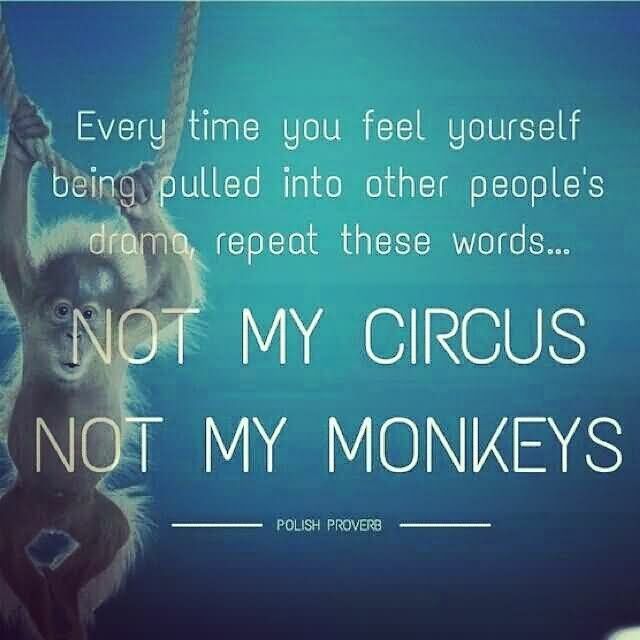 Not my circus. Not my monkeys. – Repeat, don’t hang on, let go. It’s not worth it to allow anyone to take your peace away. Take a deep breath, go for a quick walk and change your facial expression. Life is too short to be frustrated, anxious or angry.